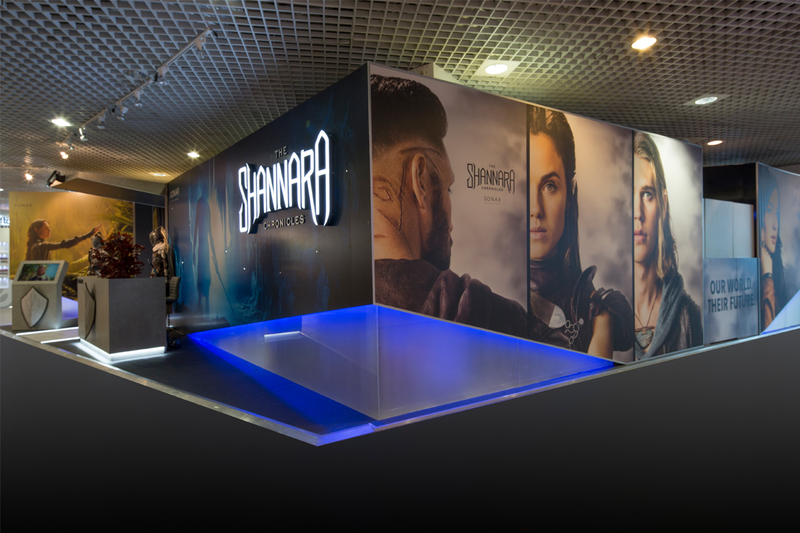 Sonar Entertainment brought their new fantasy TV drama series ‘The Shannara Chronicles’ to the MIPCOM to increase its distribution post the initial production phase. 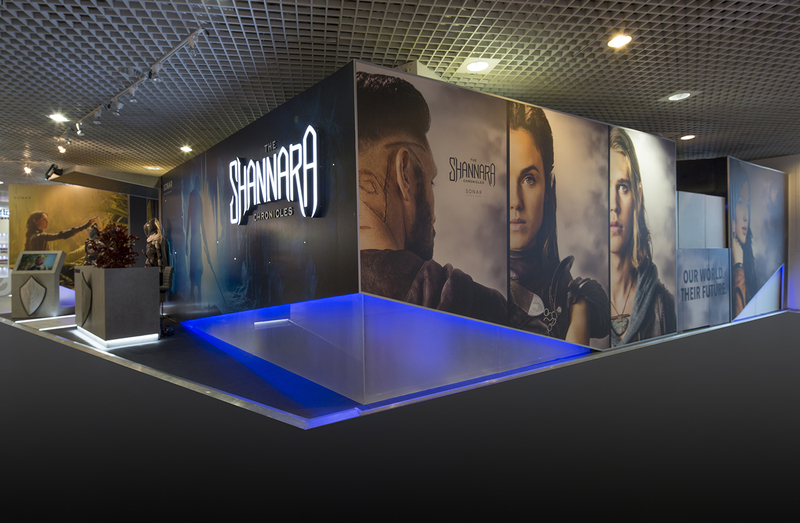 To attract the right interest, they needed the right booth to properly promote the series. 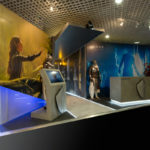 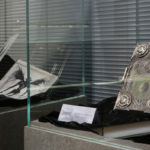 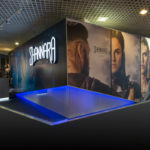 The challenge we were given was to showcase this new drama series and make the memorabilia from the actual production set of the drama series look as premium in the booth as it did on the multimillion dollar set where it was originally used in the additional natural backdrop of New Zealand’s breath taking scenery! 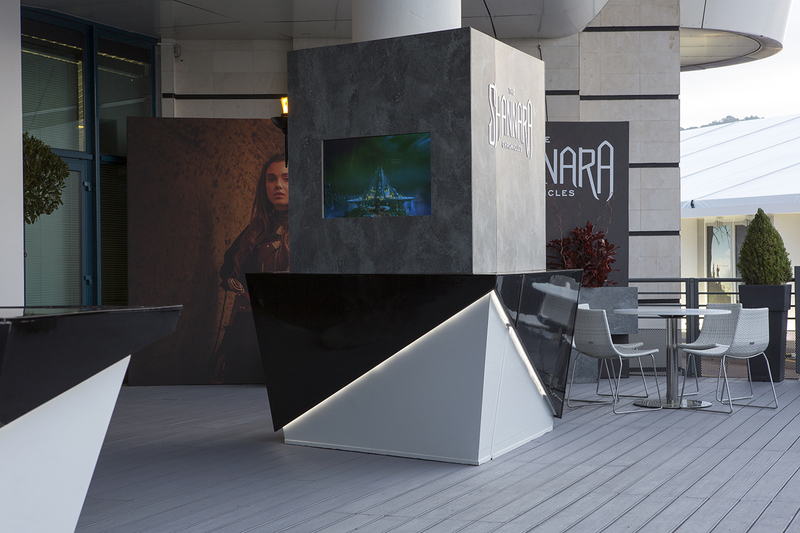 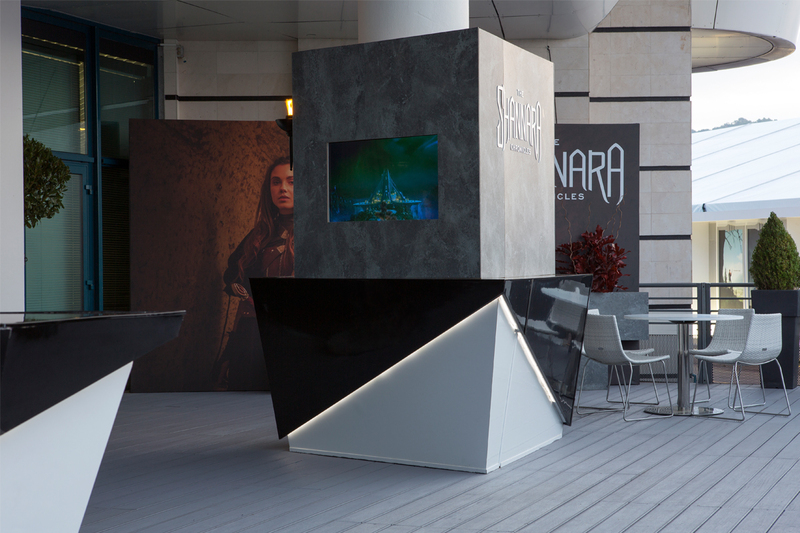 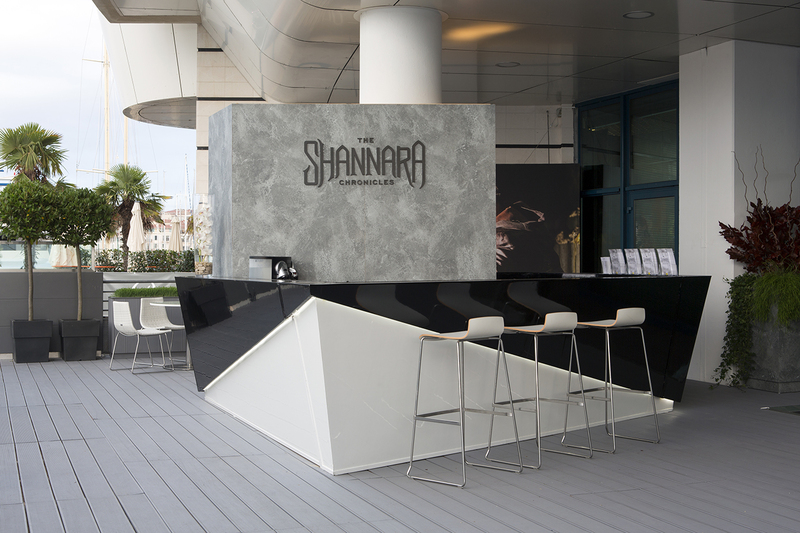 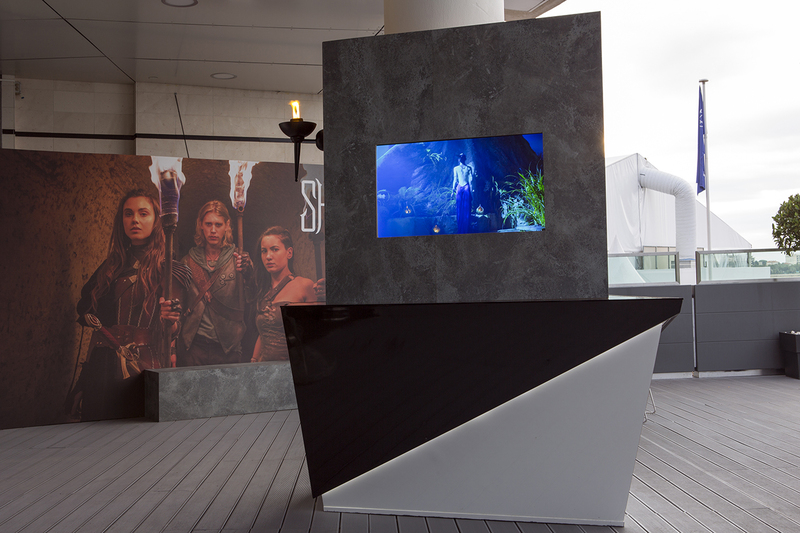 Working with a talented crew of custom designers, we created museum areas within Sonar’s one-off ‘Shannara’ booth and integrated full height graphics throughout the space. 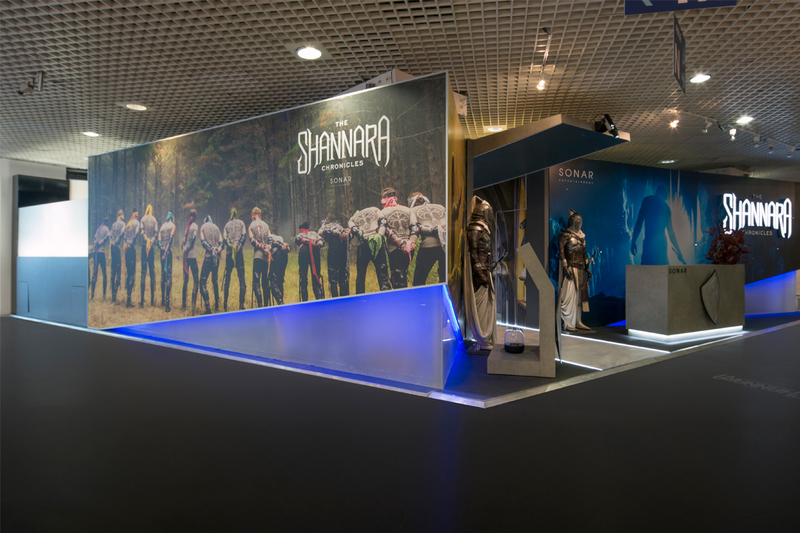 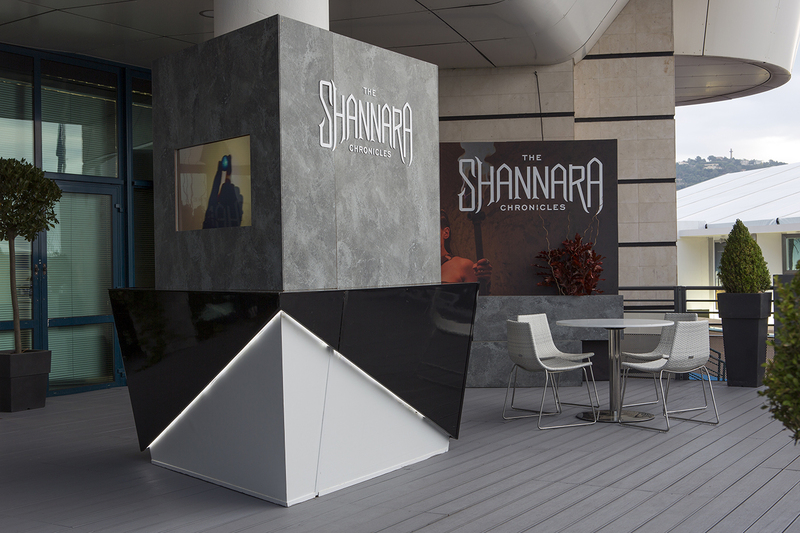 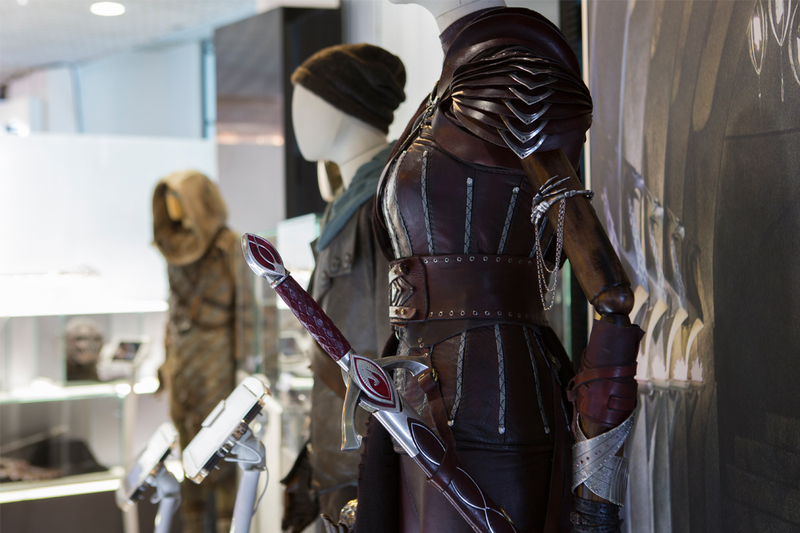 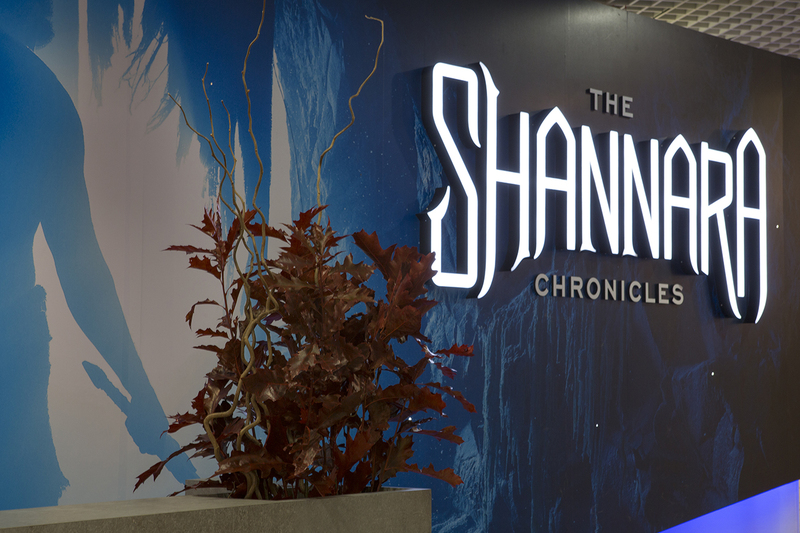 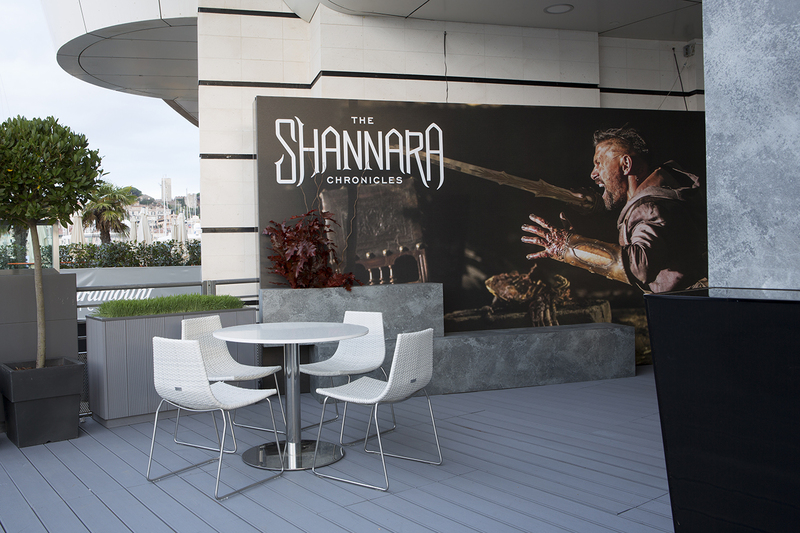 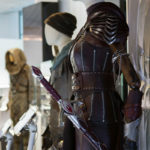 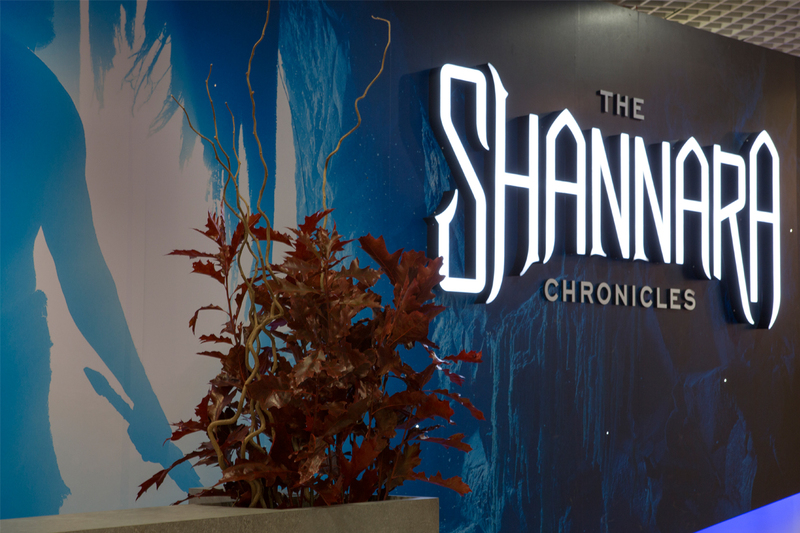 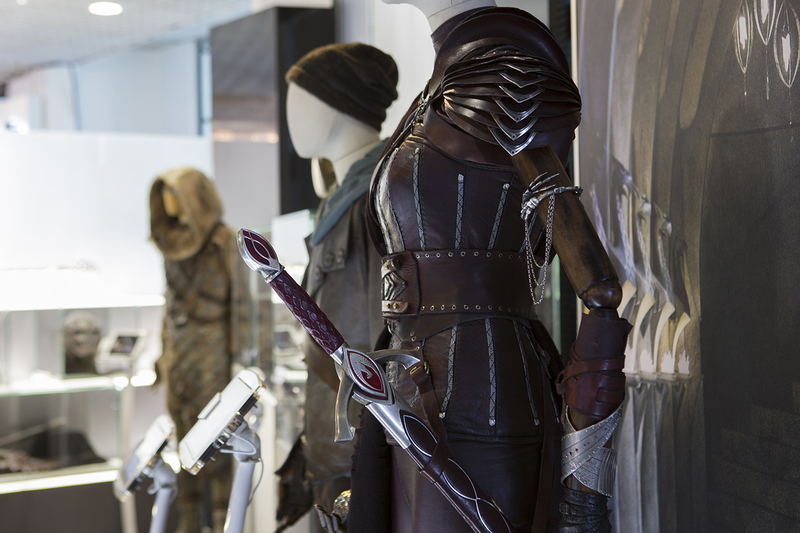 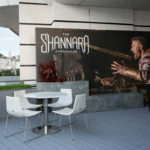 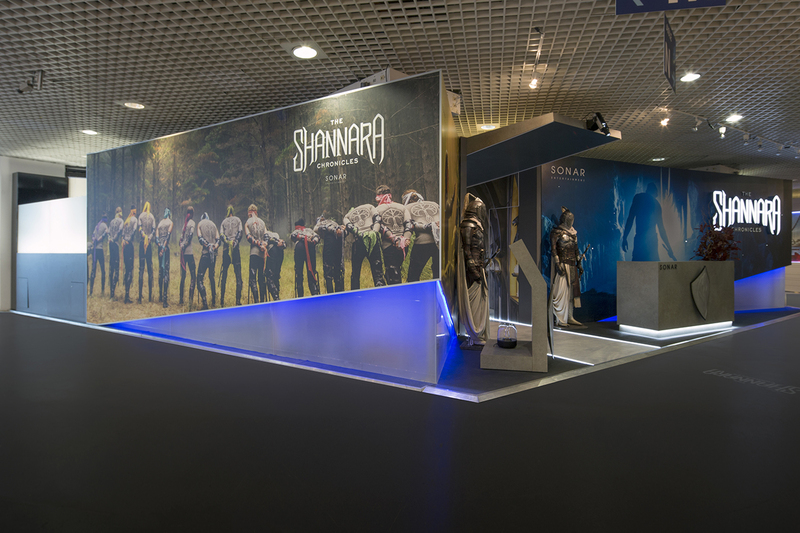 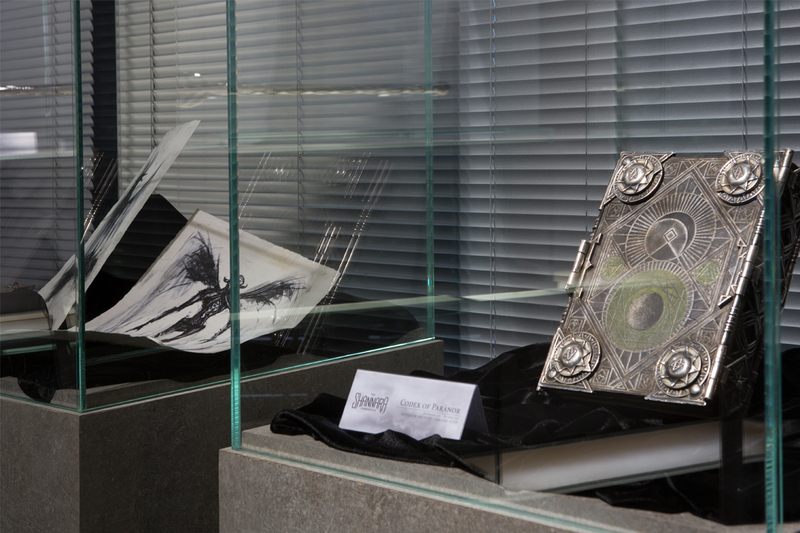 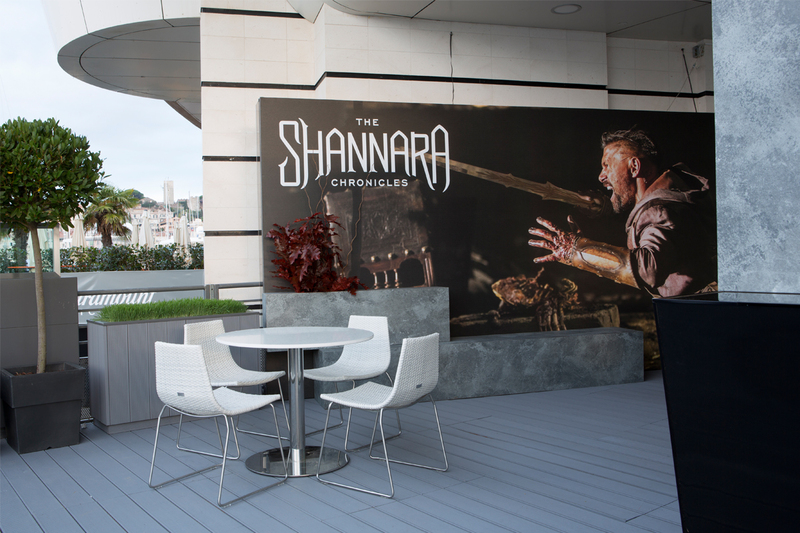 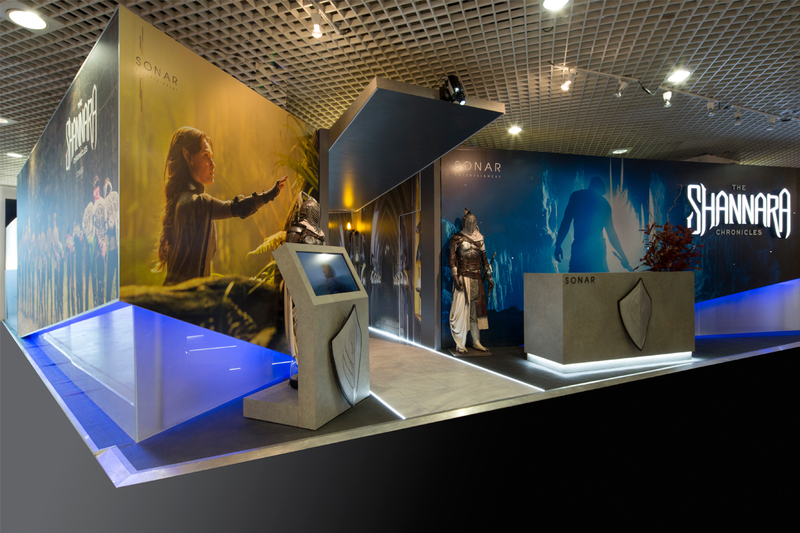 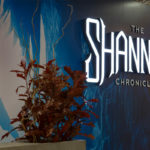 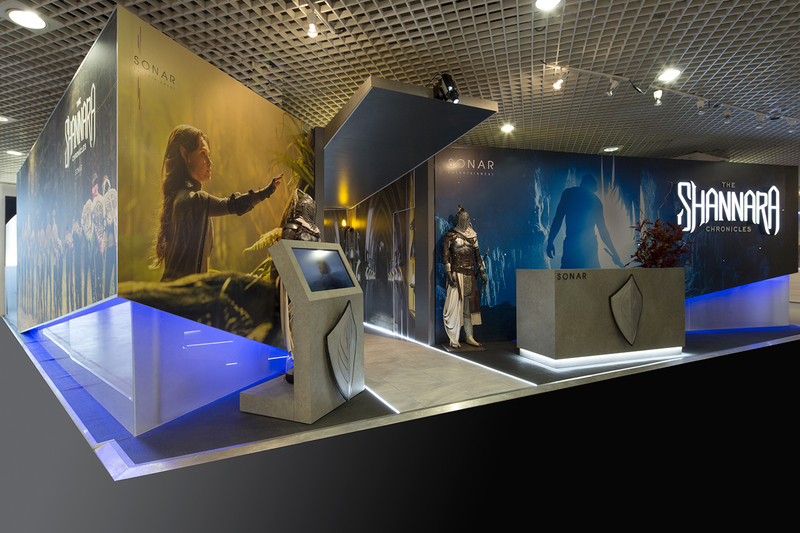 Our team showcased the Shannara Chronicles brand and memorabilia from the actual set of the production in an exciting and inviting way within the booth. 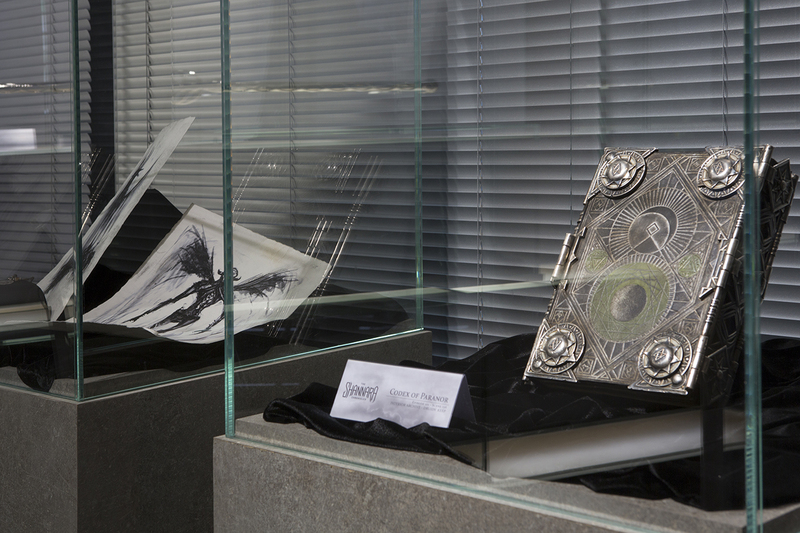 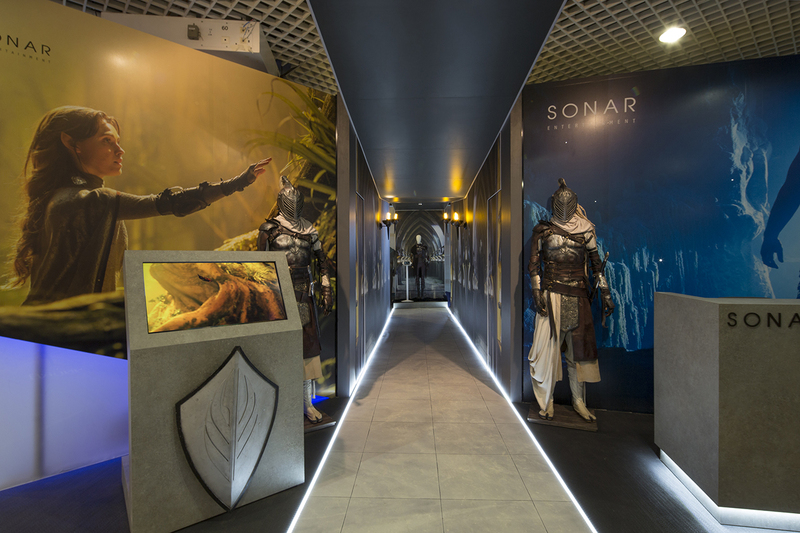 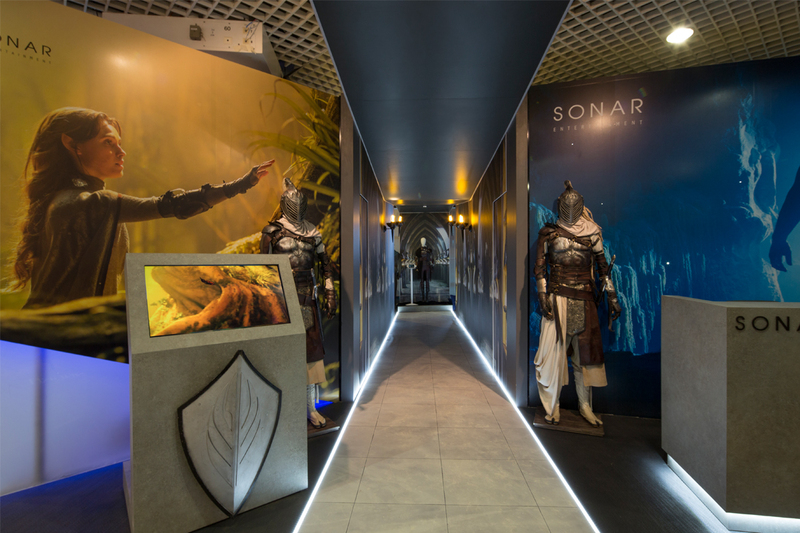 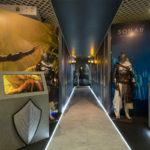 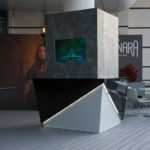 The results were interesting, tactile, innovative, premium and a great collaboration between creatives from Sonar, the Shannara set and Over and Above.